Reg Hall tells a story of how on a visit to New Orleans he spent a good deal of time in the company of Kid Shiek Cola. Shiek asked him what kind of music he played. Reg diddled a strain from Miss McLeod's Reel, and Shiek declared that he played that also, though actually responding with Turkey in the Straw, and adding that when gigging out in country areas you had to play that kind of music. I mention this merely to indicate exactly how flexible is the tradition embraced by the apparently simplistic term 'jazz', and to make the observation that very little of this 'alternative' strain appears to have been recorded. This fascinating release goes some way towards rectifying that oversight, showcasing musical three distinct examples, two of which stand outside the mainstream of New Orleans tradition. If the recordings by Noon Johnson's trio have any precedents on record they lie not in New Orleans but six hundred miles north, in Louisville, Kentucky, with the oft-recorded jug bands of the 1920s. At that, their affinity is not with the comparatively sophisticated Clifford Hayes/Earl MacDonald combos but rather with the raucous group led by Buford 'Whistler' Threlkeld. Comparison can easily be made by reference to the four Louisville volumes on the RST label (JPCD 1501 - 1504), and also to film of Whistler's gang bashing all hell out of Tear 'em Down, Bed Slats an' All on the wonderful Yazoo video 'Times Ain't Like They Used to Be'. 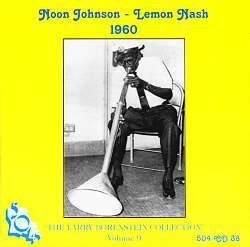 Johnson's chosen instrument is the 'bazooka', a three feet long metal pipe with gigantic horn at the end. While acknowledging the value of these recordings, we may lament that the bazooka is mixed too far forward and the vocals too far back, often rendering the actual words completely inaudible (sound clip - Tiger Rag). It does, however, come into its own during the fill in passages between vocal lines. Similarly, Lawrence Rankins' guitar remains audibly anonymous until the fourth track, Jambalaya, when it is revealed to consist of a simple pluck/strum technique. Harrison Verrett, on the other hand, has a splendidly busy banjo technique, heard to best advantage on The World is Waiting For the Sunrise, which proves to be a veritable showcase of inventive syncopated strains (sound clip). The second section of the CD is heralded by one of the musicians proclaiming, "This is the real stuff. Right out of New Orleans." And, indeed, this is somewhat nearer to the kind of music we have come to expect, although it has seldom been issued in such rough and uncompromising form. Johnson and Rankins are joined here by the legendary Kid Thomas and the highly regarded (and justly so) Creole George Guesnon. The five recorded items from this group's repertory reveals how eclectic the tradition can be, and the manner in which it can effortlessly accommodate such Tin Pan Alley effusions as On a Coconut Island and Should I Reveal (Exactly How I Feel)? yet still maintain its internal integrity. Thomas appears to be having problems with his trumpet, which generates a slightly off-key feel which - perhaps perversely - I like for the hard edge it creates, but his lip improves as the session gathers momentum. The fabulously inventive tenor banjo technique of Guesnon may also be heard on another release from this catalogue - 'Sweet Emma Barrett and Her Bell Boys' (504 CD 67). The ad hoc nature of the sessions is revealed when, during his bluesy introduction to Yakety Yak, he announces the key to the other musicians. Veering several steps further in this direction, Big Ole Muskrat is real low-down alley blues (sound clip). On the minus side, the single microphone is yet again unable to cope with such dense sound, and the vocals in particular suffer badly. 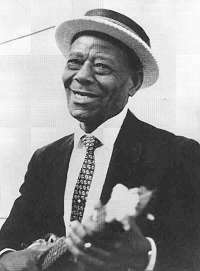 The CD concludes with ukulele player Lemon Nash, who smiles out at us from his photo looking for all the world like the black equivalent of Ukulele Ike. Nash claims authorship of Ugly Child in 1921, then having it stolen from him. If true, the 'King Kong the ape' reference must be a later accretion, given that film's 1932 release date. His ukulele style echoes that of Papa Charlie Jackson's six string banjo on this number, but is more conventionally akin to that of Cliff Edwards or Roy Smeck elsewhere, on Sweet Georgia Brown and A Creole Song, for instance. That said, he thrashes the hell out of his instrument on the latter number (sound clip). The Duck's Yas Yas must surely have been learned from one of the many recordings of this extended veiled sexual metaphor, as presumably were Too Late and Rooster Crowing Blues. On these numbers he adopts a blues guitar style, albeit more in the sophisticated mould of fellow New Orlean Lonnie Johnson than that of the rural Deep South. His voice likewise is very pleasing, with none of the gravel tonality most often associated with the New Orleans style. Sleevenotes are by the afore mentioned Reg Hall, whose vast knowledge and appreciation of New Orleans music is often subsumed under his public image as authority on the British tradition (the twenty volume Voice of the People set has recently reinforced this perception). Here he synthesises personal knowledge and interview data from Tulane University to create a more vivid and extensive impression of the music of the city. On the unexpected and unusual scale this CD scores highly. I would certainly recommended anyone with even the vaguest interest in the music of New Orleans to hear it, not least for the erosion of preconception it stimulates. I enjoyed it thoroughly.